Ready to showcase all three phases of her career, LeAnn Rimes valiantly stepped onto the Birmingham Symphony Hall stage to shrug off her recent ailments and set about re-establishing herself with a live UK audience. While the gig may have been close to following the same demise as the Dublin date a few days earlier, those present sampled the opportunity to savour her precious vocal talent and enthusiastically welcomed her back to Britain’s provincial arenas. Circumstances may have contributed to a halving of the set time from the two-hour Belfast extravaganza that opened the tour but it gave sufficient evidence as to why millions have bought into her crossover appeal. The hugely successful period where LeAnn floated around the peripheral of the country music model was represented by a string of hits including ‘How Do I Live’, ‘Cant’ Fight the Moonlight’, ‘Life Goes On’ and ‘Last Thing on My Mind’ and these were well received by those not deterred by the slightly inflated ticket prices. With the backing of a four piece band comprising of percussion and the guitar trinity of lead, bass and pedal steel, LeAnn constantly switched her mode of delivery from bar stool to increased animation in order to reflect the mood of the song. 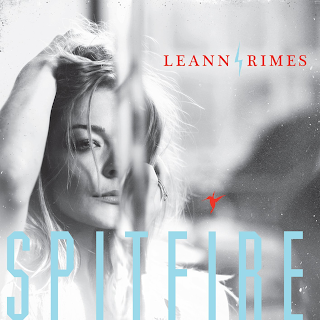 The listening experience is core to any LeAnn Rimes show and while the true professionalism of her vocal content was in place, perhaps the show production could have developed the no doubt fine musicianship behind her a little more. There were glimpses of this when LeAnn brought the audience up to date with what was sadly for me a rather minimal representation of her excellent new album SPITFIRE. The onstage interaction required to bring ‘Gasoline and Matches’ to life proved the high point of a show which, while of undeniable high quality, left some food for thought. SPITFIRE is the latest segment of her re-integration with the country music fraternity and the passion and sincerity of this record was exemplified in her stunning rendition of two of the album’s fine ballads, ‘Borrowed’ and ‘What Have I Done’. It was a pity that some of the grittier tracks such as ‘Spitfire’ and ‘You Ain’t Right’ weren’t aired to show the nostalgia driven fans the true depth of a project designed to reflect upon the events of a turbulent period in her life. Mid-set we were reminded of the child prodigy years with a spellbinding version of ‘Blue’ from an album that I will never tire of returning to even though LeAnn fondly reminded everyone that little was understood at the time. Although it was a touch disappointing that the far from modest outlay was rewarded with only a 65-minute set, the evening which had began on a high with the energetic ‘Family’ ended with a spine tingling and intimate version of ‘Hallelujah’ accompanied only by a solitary acoustic guitar. This Leonard Cohen standard is fast becoming a fashionable closer on my gig travels and LeAnn’s version, aided by the venue’s superb acoustic sound, didn’t disappoint. There may be a fair few music miles on LeAnn’s clock but a feeling exists that there is a lot more to come and that she is ‘work-in-progress’ in becoming an acclaimed and influential artist. The material and style from her last three albums has hopefully signalled a path to this status. The quality content from the new record has seen LeAnn set the agenda and this needs to be developed in the future. The country music world is willing for her talent to be a genre flag bearer and although this show experience came up a little short in some aspects, the desire for LeAnn to reach that exalted level has been fuelled by her desire to re-connect with wider audiences. On his first experience of performing outside the US, the singer-songwriter Logan Mize did a sterling job to open for LeAnn and, although reduced to solo acoustic status, demonstrated possessing the talent and toolkit to make inroads into the world of contemporary country music. The confidence in his onstage presence both in delivery and banter harnessed a passion to use the medium of song to bring to life real issues ingrained in the country music songbook. Definitely an artist to have his future releases monitored.